In order to show a killer pitch to Apple that its yield quality is equivalent to TSMC, Samsung has prepared a new technology that will be advantageous for future mobile chipsets. Here are all the details you wanted to know. According to Chinese media, alongside Samsung, even TSMC is also producing chips using FoWLP yield technology. What is the advantage of using this particular technology? Well, for starters, using FoWLP stands for fan-out wafer level packaging platform and what is does is it allows smartphone OEMs to greatly reduce the thickness of their mobile devices thanks to the perk of this technology. FoWLP does not required a PCB and in turn, it is able to increase the efficiency of chips by 30 percent and reduce the thickness of smartphones by at least 0.3mm. With iPhone 7’s mass production already commenced, and a long time back, we reported that Apple might have chosen TSMC to be its chief supplier of 10nm FinFET chips, it does not look like Samsung’s contribution in improving its manufacturing process might help the tech giant, but Apple might still look to shake hands with both companies because it allows the firm to observe competitive pricing across the board, just like it has done with Qualcomm and Intel. 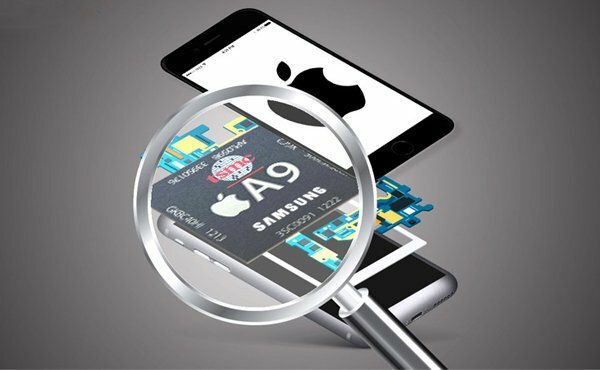 As far as Apple’s iPhone 7 is concerned, it is going to be powered by a A10 SoC manufactured on the 10nm FinFET SoC, and we believe that a large chunk of the shipments are going to belong to TSMC, while the rest of them will be from Samsung. Other details of the upcoming smartphone include 3,100mAh battery upgrade, which is huge even by Apple standards, along with on-board storage increased to 256GB. We expect that 256GB will be nice little upgrade for those who have capped their 128GB internal memory (for a premium price obviously). While it’s highly possible that Apple might rely on TSMC to secure all 100 percent of chip orders, the Cupertino tech behemoth will want to secure future partnerships, not to mention a better deal from both TSMC and Samsung.